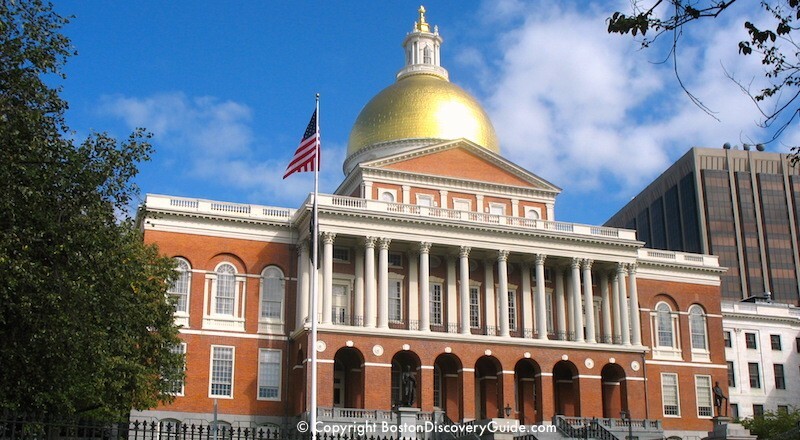 Governor Charlie Baker last week put out a plan to exercise the authority given to him by the Massachusetts constitution and make budget cuts to the Executive branch via article 9c. Governor Baker announced that he would cut $98 million dollars from the branch. Fortunately, no layoffs are expected. The cuts were not expected by many after the voluntary retirement incentive, which hundreds of people took advantage of, cutting the states bottom line over several years. NAGE Presidents immediately requested information and demanded to bargain should any cuts include any layoffs. Please see the article below from the State House News Service which goes into depth regarding the current situation. Please continue to check NAGE.org/state for information on this matter. NAGE’s legislative team is meeting with members of the legislature on a daily basis and we will be passing any pertinent information along to our members immediately. STATE HOUSE, BOSTON, DEC. 14, 2016.....The Baker administration will not seek government layoffs to address a persistent budget gap after 900 employees took a buyout offer resulting in $12 million in payroll savings this fiscal year and a projected $70 million in fiscal 2018. The results of the buyout program, which was offered by Baker from mid-October through mid-November in an attempt to save $25 million, were released Wednesday a week after the governor used his executive authority to cut $98 million from the state budget. Open to 42,000 executive branch employees with the exception of those who work for the Department of Children and Families, 729 employees took the $15,000 cash incentive to retire and an additional 171 workers took a one-time $5,000 payout to leave government service. The average salary of those leaving state government was $68,069, according to the administration, and 100 employees earned over $100,000 a year in their positions. "This is the highest participation in a voluntary separation program in recent history. Based on the results, the Executive Branch will not seek across-the-board layoffs, but agencies will work to identify potential operational improvements, which could include agency-level incentive programs, attrition, staff adjustments, or other savings in the normal course of business," Administration and Finance Secretary Kristen Lepore said in a statement. Baker's budget office launched the employee buyout program in October after Lepore announced that she was revising revenue estimates to reflect $175 million less in anticipated sales taxes and projected a $294 million budget hole. Lepore described the buyout program as part of an exercise to trim about 1 percent in executive branch spending. As Lepore's team sifted through the applications and calculated the savings, there had been some growing concern that layoffs would be next. Senate Ways and Means Chairwoman Karen Spilka said shortly after the close of the application period, "Last I spoke to them it wasn't doing as well as they thought." Though the immediate payroll savings fell short of the $25 million target, the administration appears content now to further reduce its headcount through attrition without resorting to layoffs. The departures generated a gross savings of $35.1 million, but the state paid out $11.6 million in buyouts to incentivize the turnover and another $11.6 million in accrued benefits, including $7 million for earned vacation and comp time and $4.6 million in sick time for retirees. The last time the state offered a voluntary separation incentive program under Gov. Deval Patrick in fiscal year 2010 a total of 712 employees departed state government. That program followed on the heels of another buyout in fiscal 2009 when only 248 people left. Baker's payroll reduction initiative trimmed the executive branch workforce by about 2 percent, and will lead to a roughly 1 percent overall reduction in state employees. Health and Human Services, the largest secretariat in the executive branch, will see the biggest reduction in employees with 495 taking the buyout, followed by Public Safety and Security, which will lose 186 employees. The fewest number of employees leaving any one executive office are 13 from the Executive of Office of Education. The administration declined to provide the News Service with a breakdown by agency of employee buyouts, and based on the data released it was not immediately possible to determine which secretariat would be asked to absorb the greatest reduction in its workforce. Lawmakers over the years have flagged workforce reduction efforts as problematic if certain departments are hit particularly hard. Six percent of retiree-eligible employees opted to take the buyout this fall, while less than 1 percent of other employees took advantage. The non-retirees that accepted the buyout earned, on average, $12,000 a year less than the retirees at $58,388.